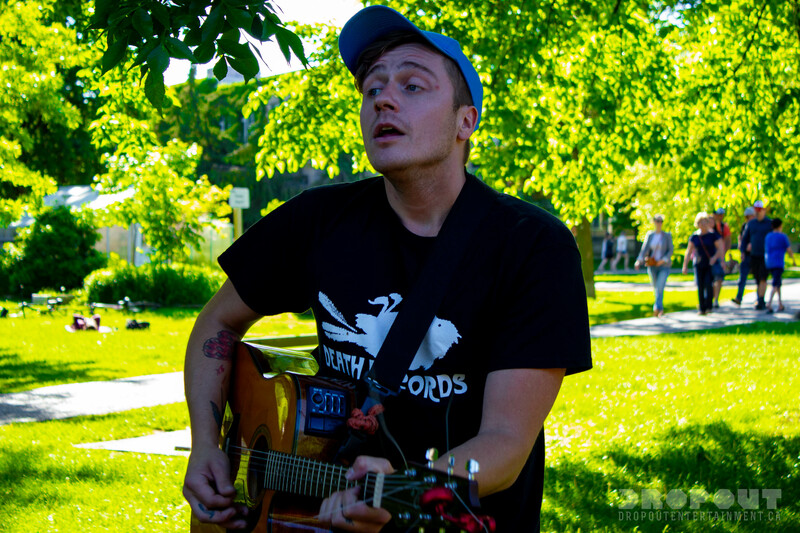 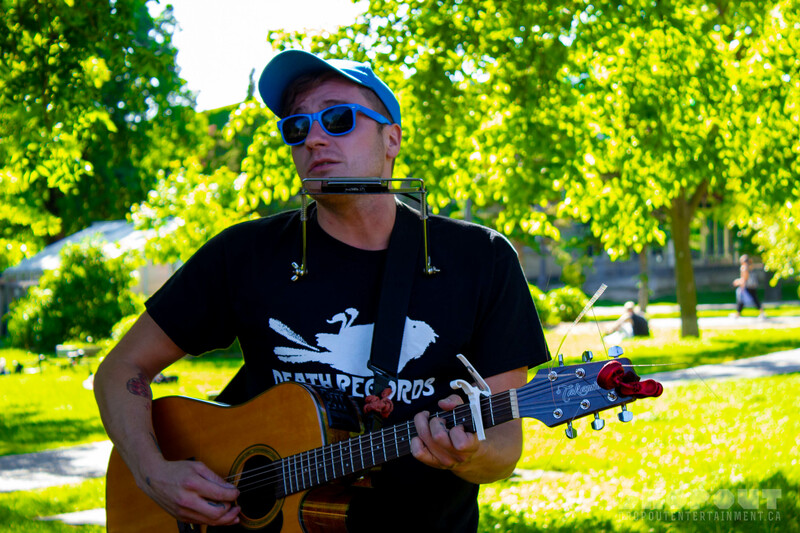 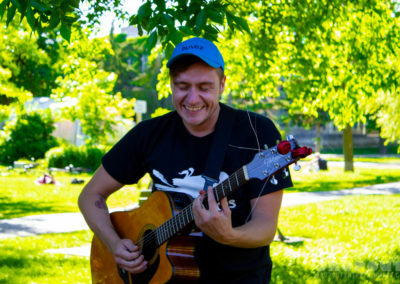 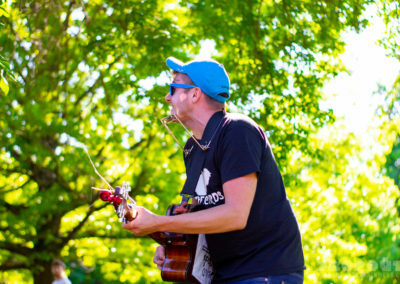 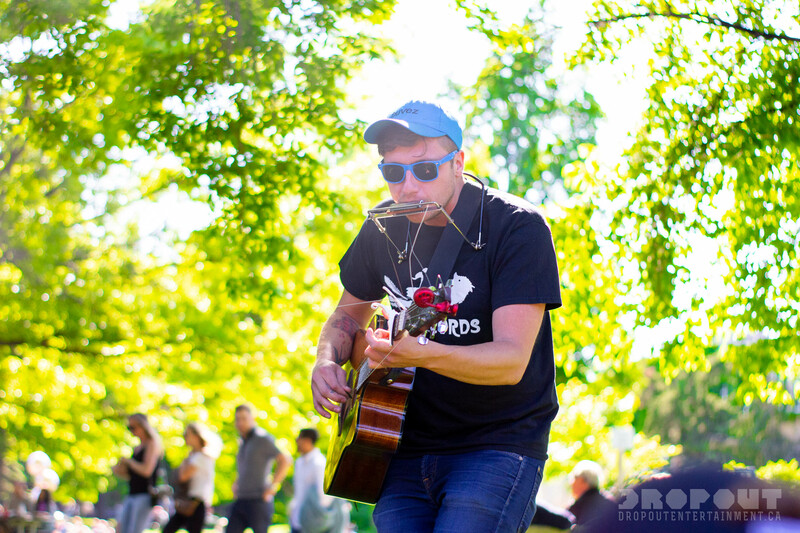 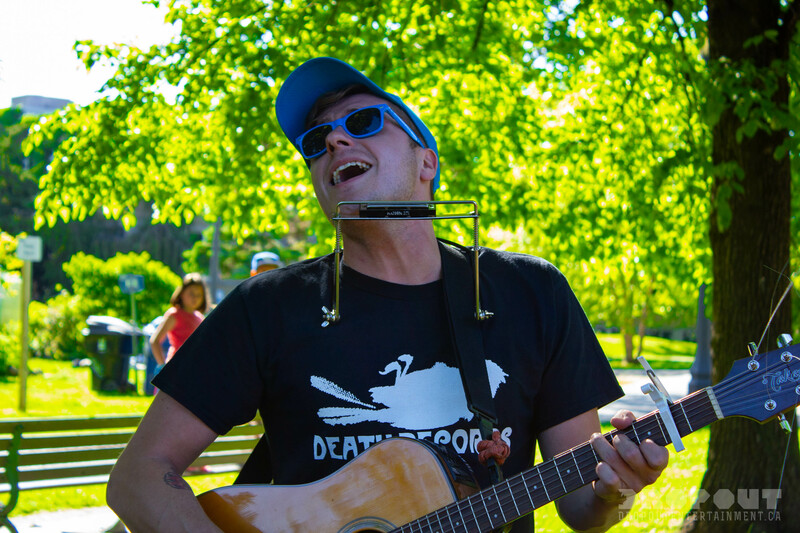 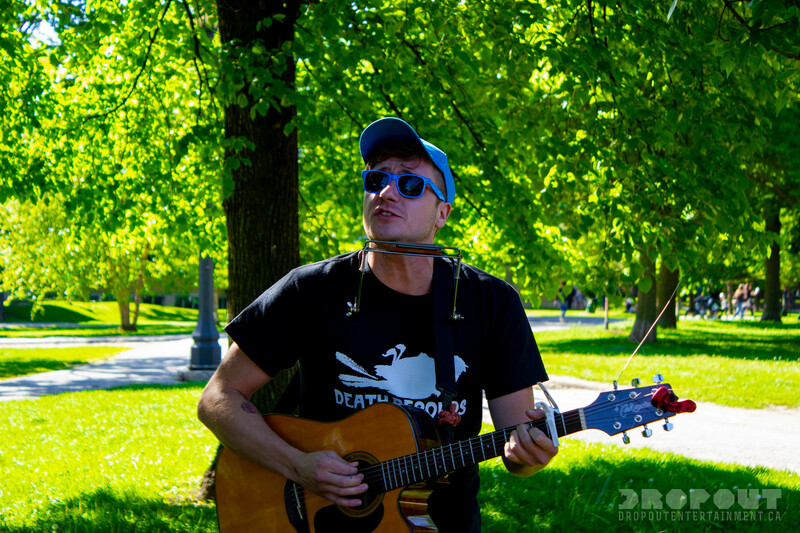 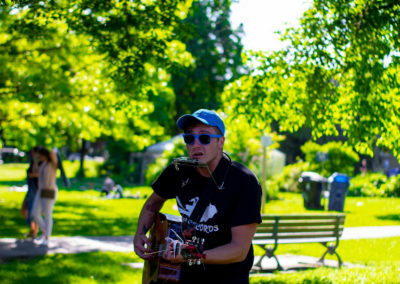 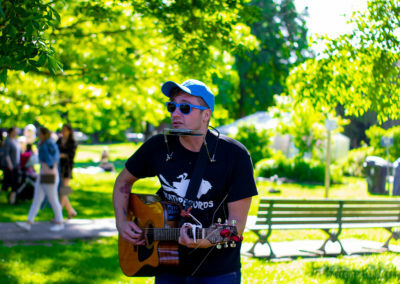 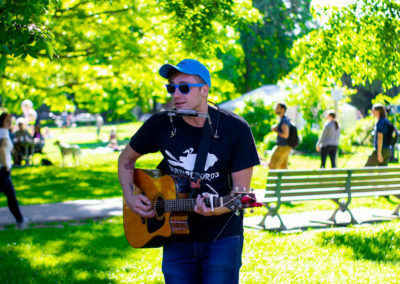 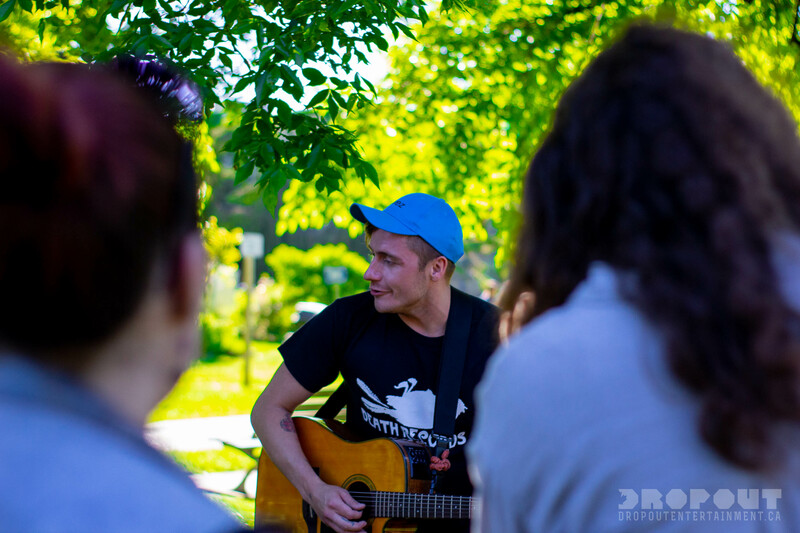 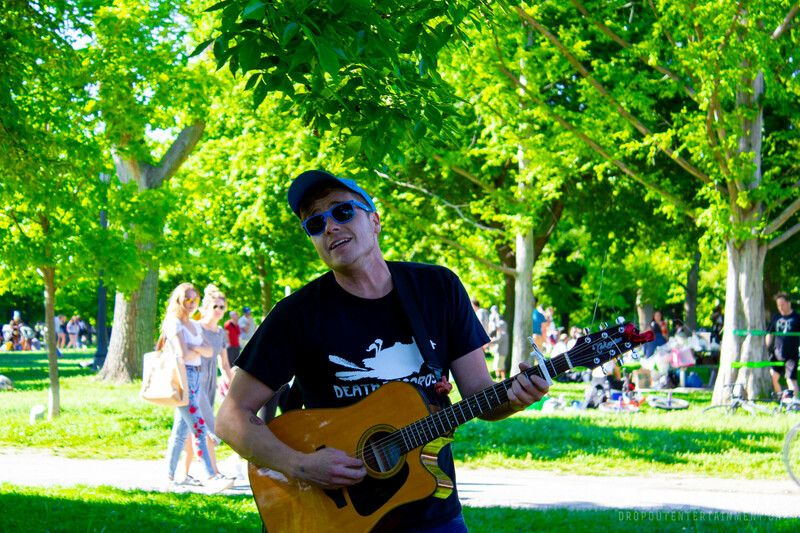 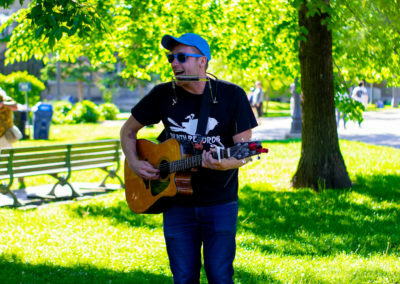 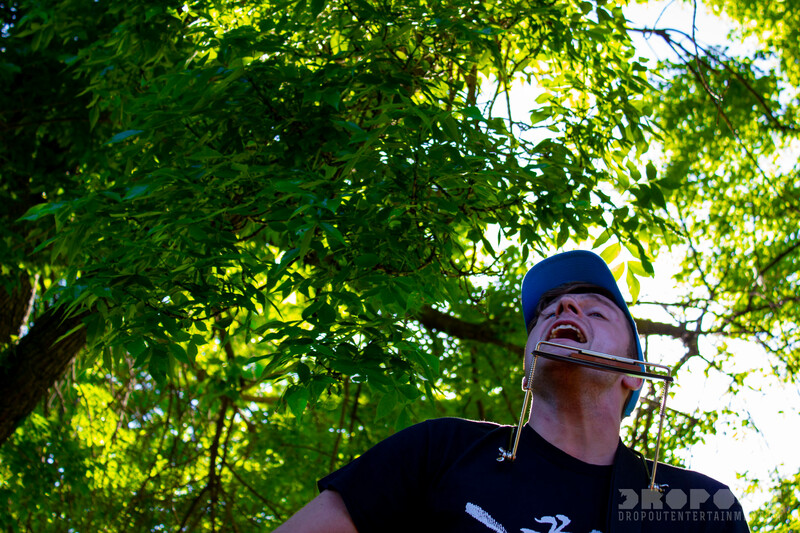 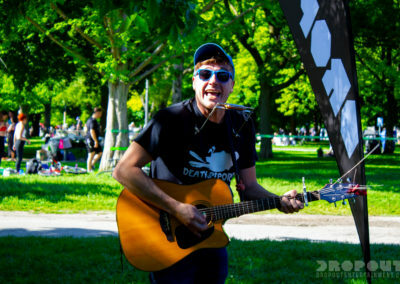 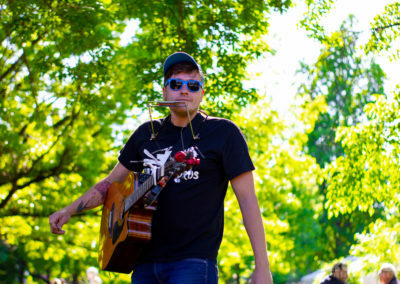 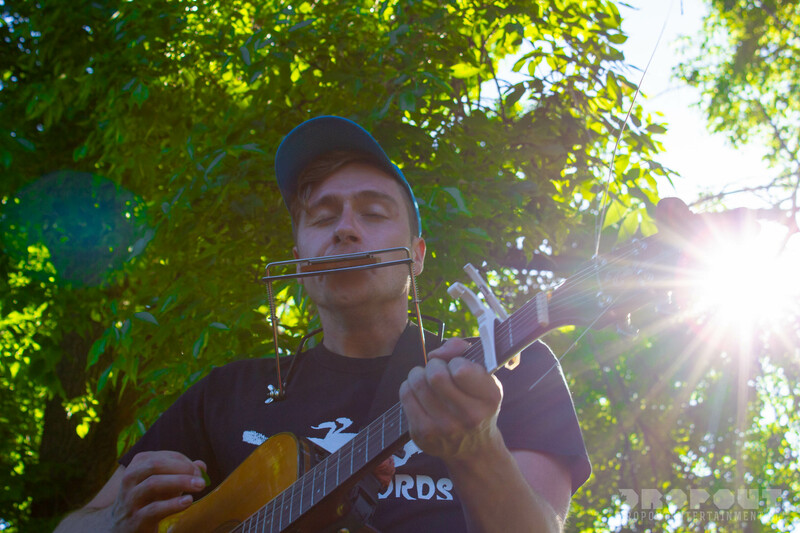 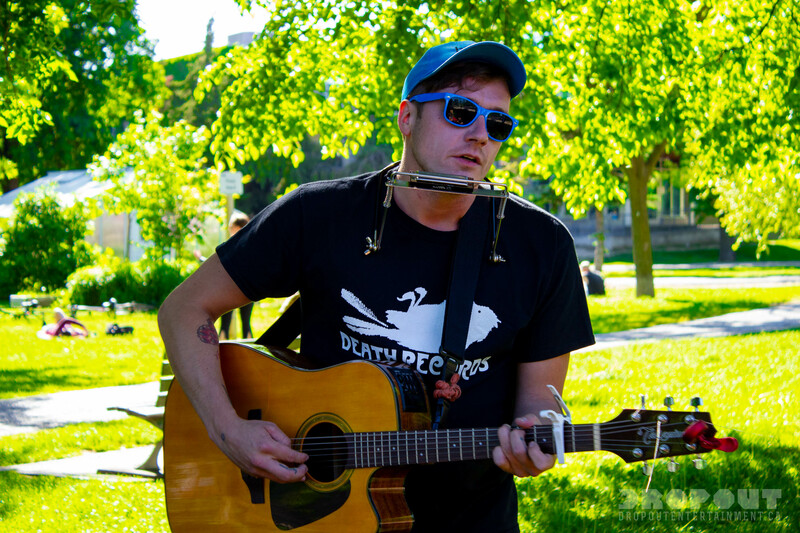 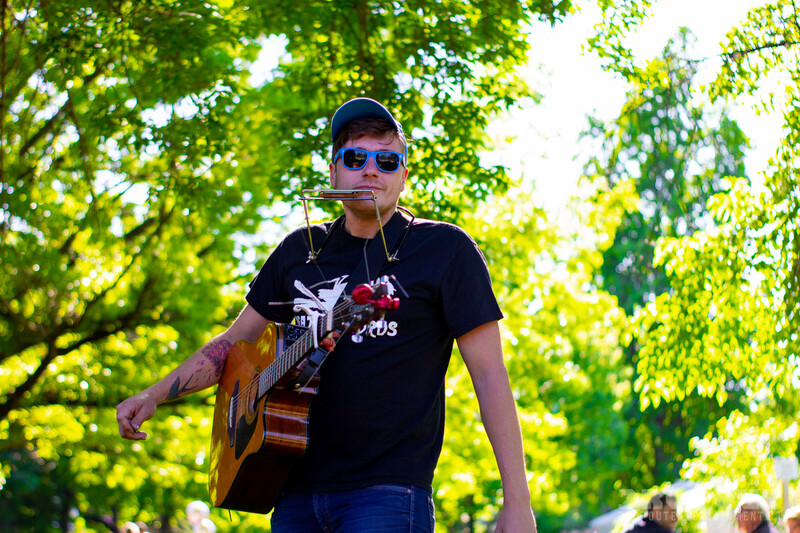 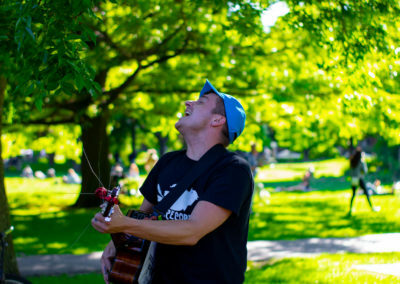 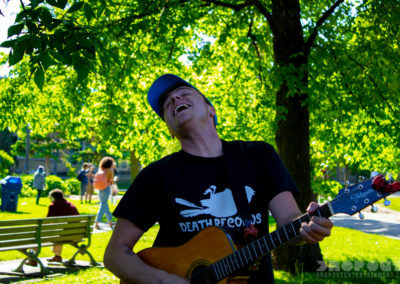 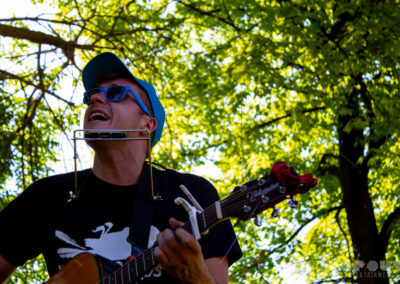 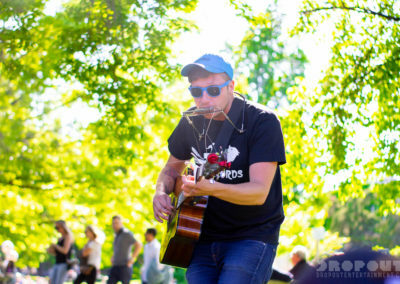 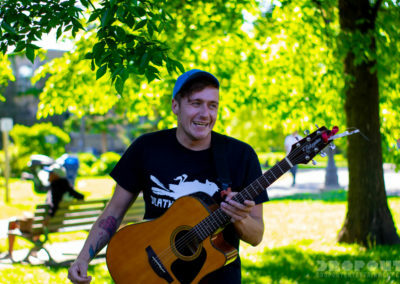 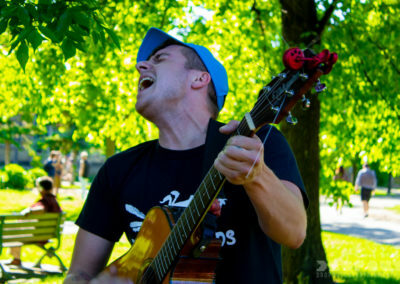 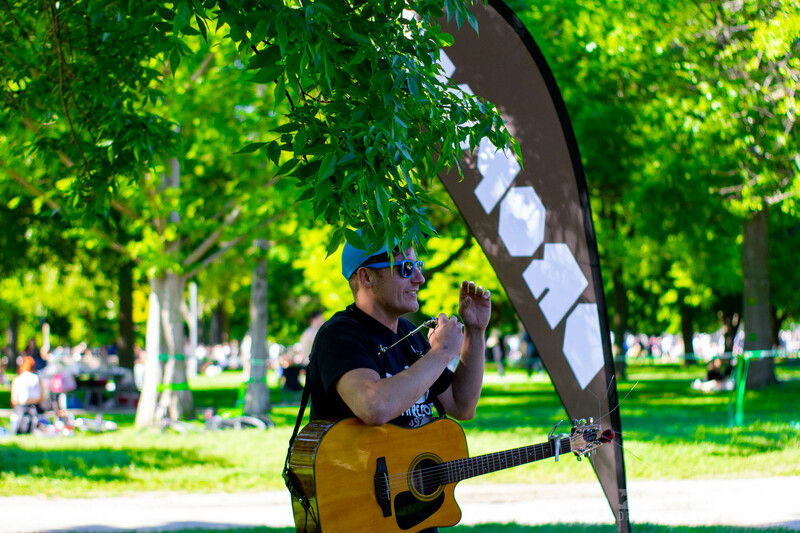 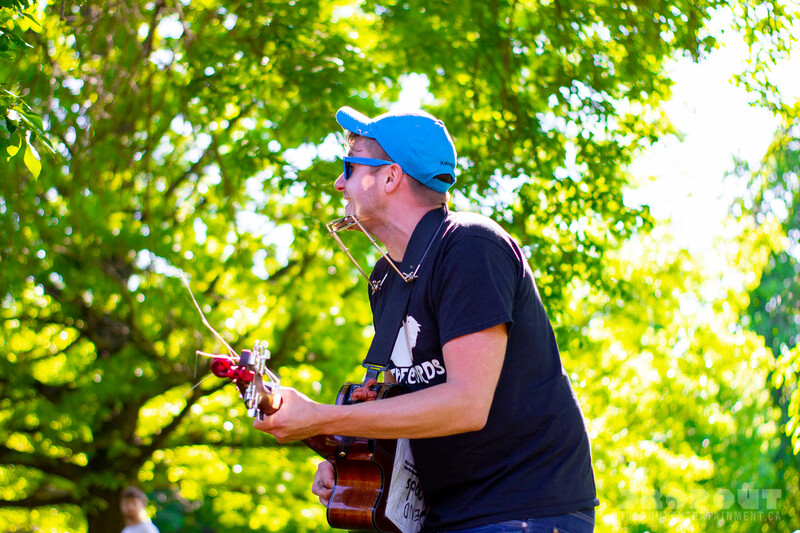 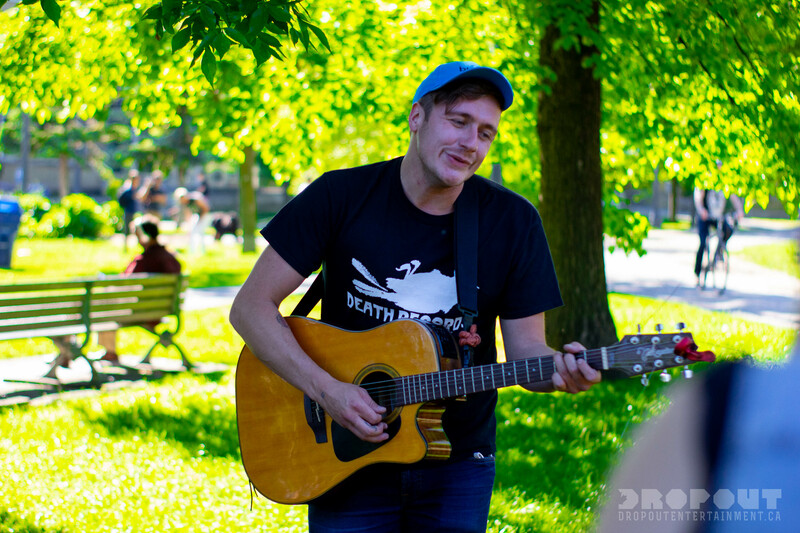 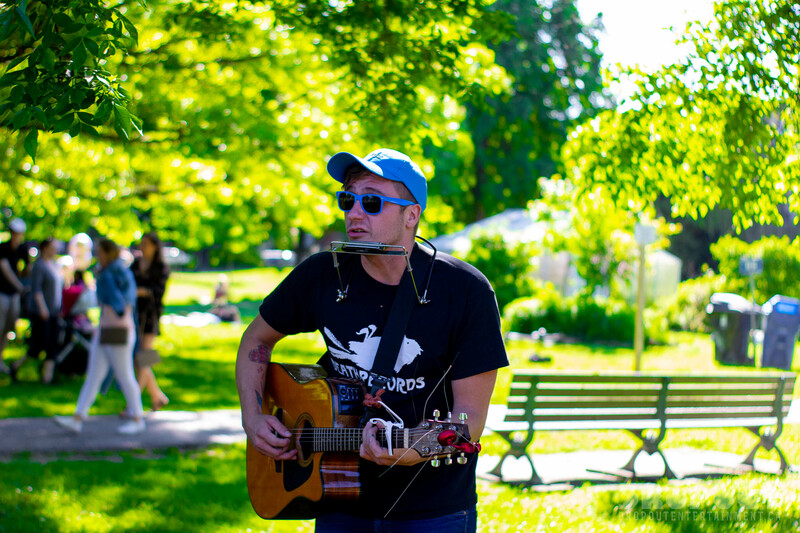 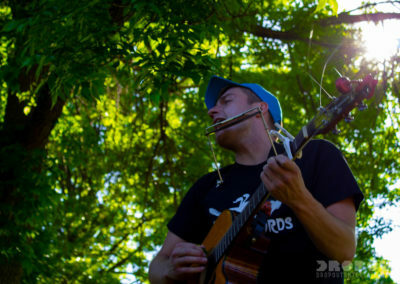 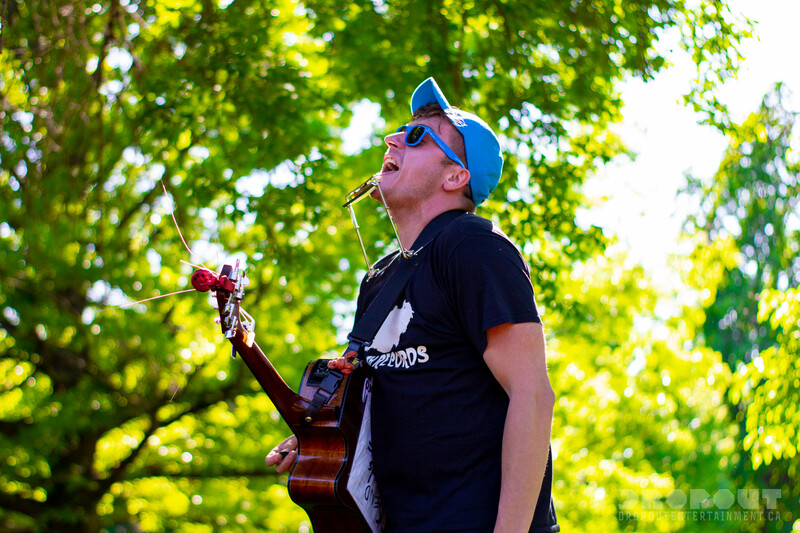 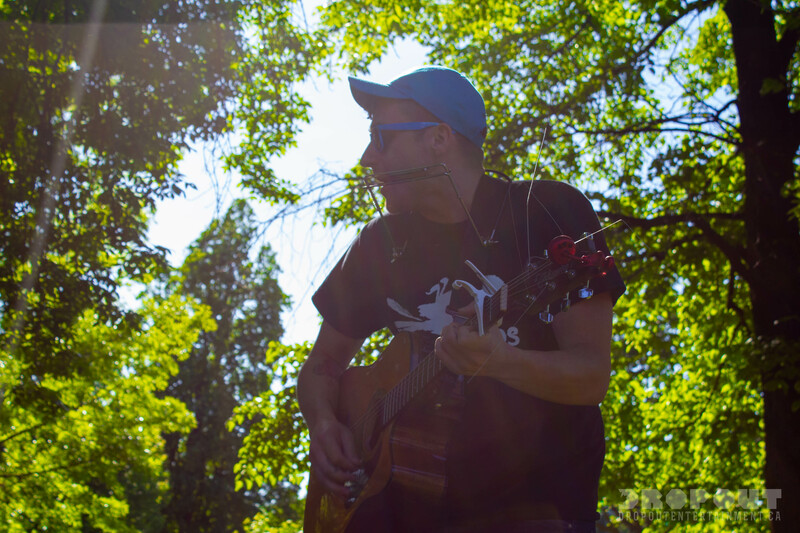 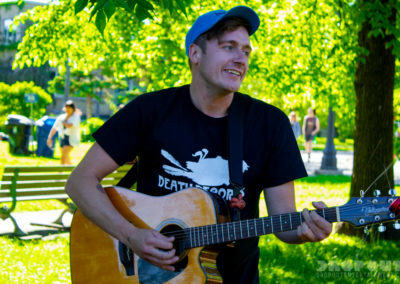 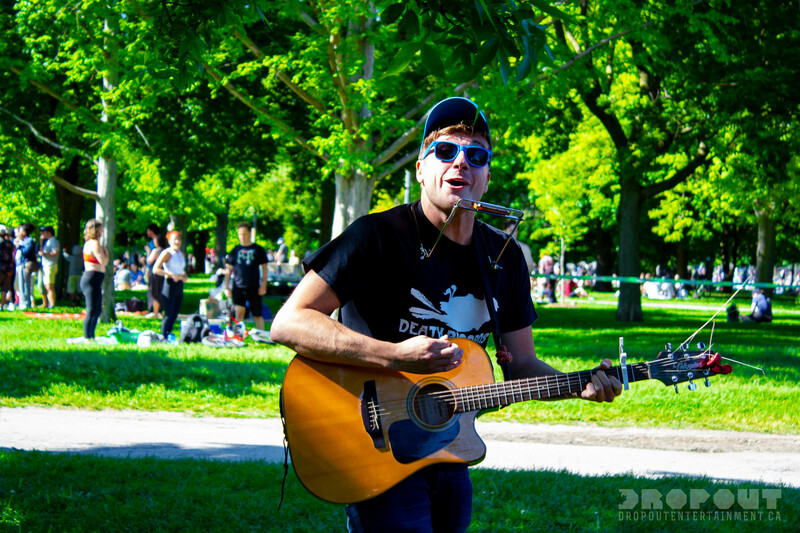 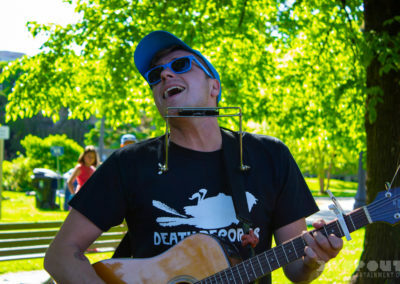 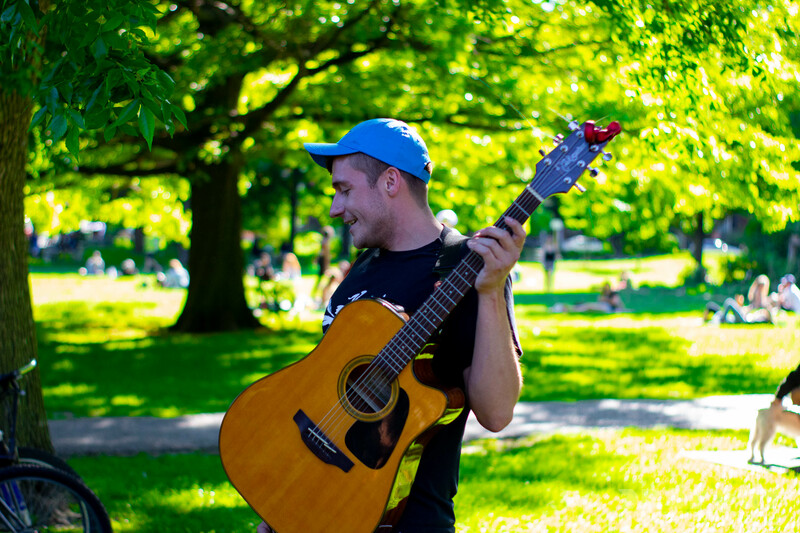 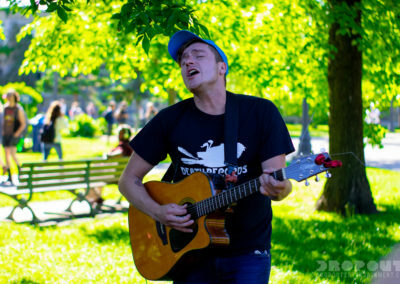 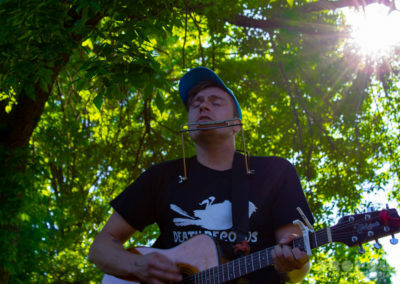 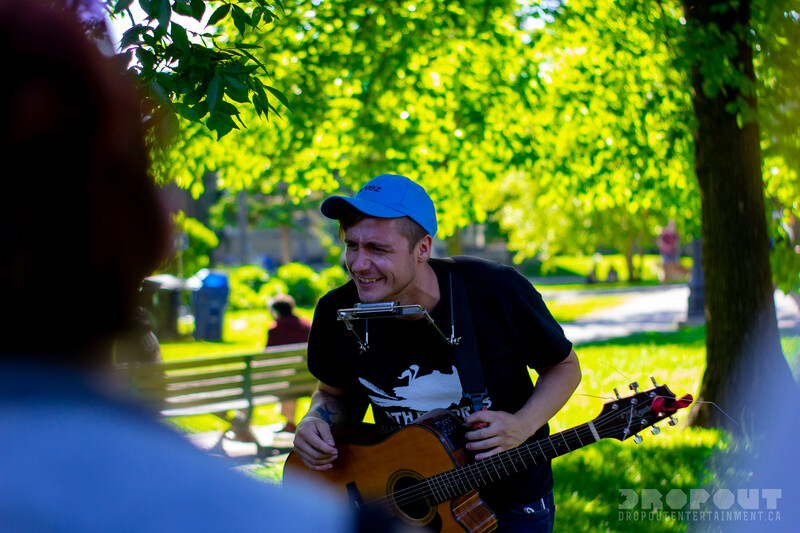 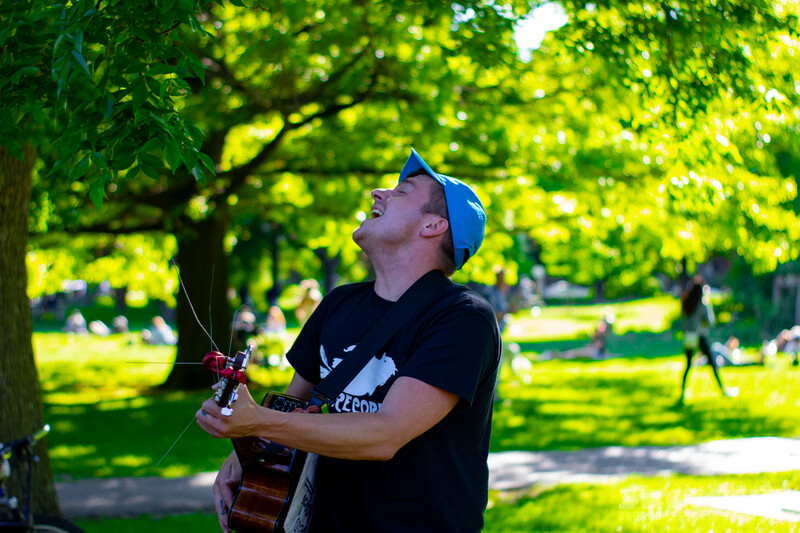 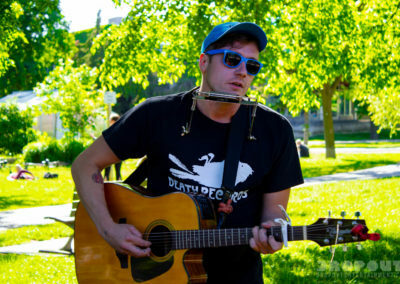 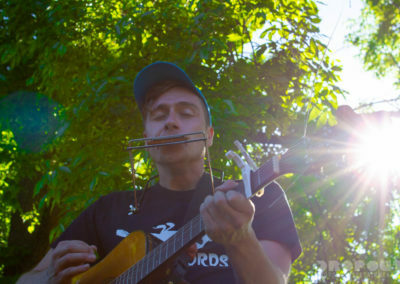 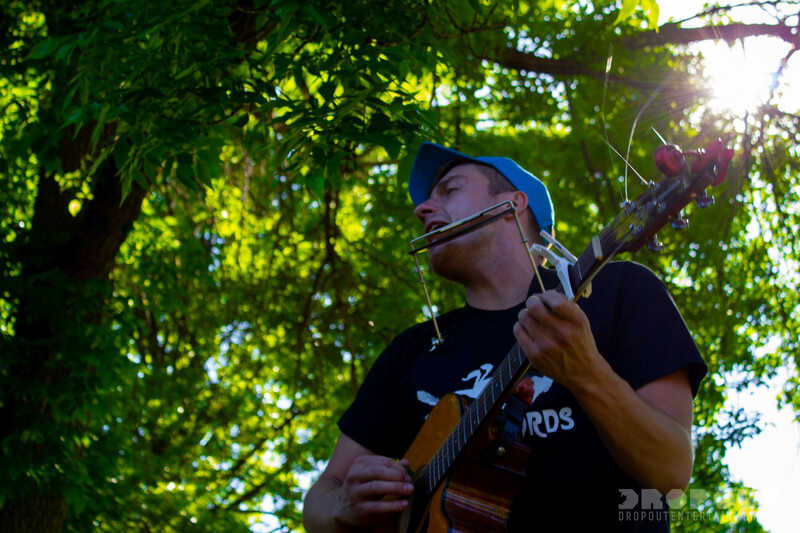 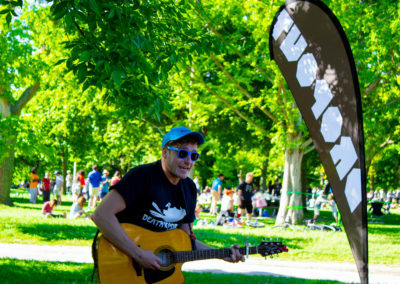 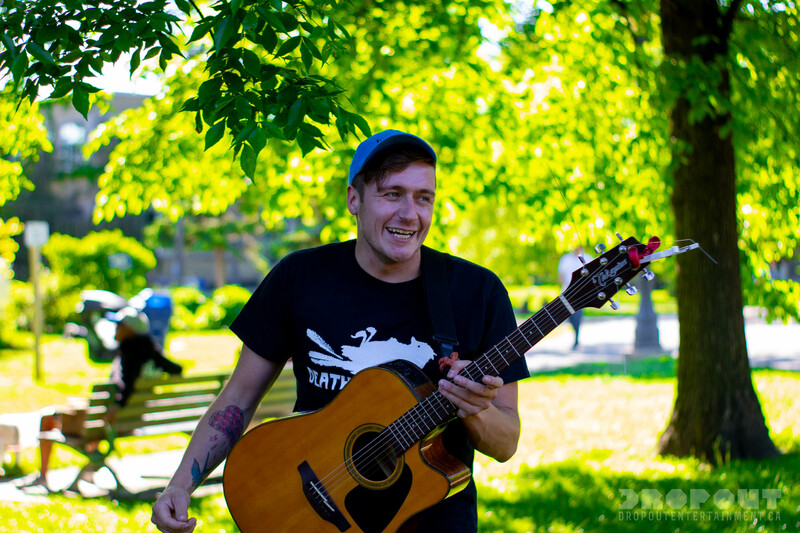 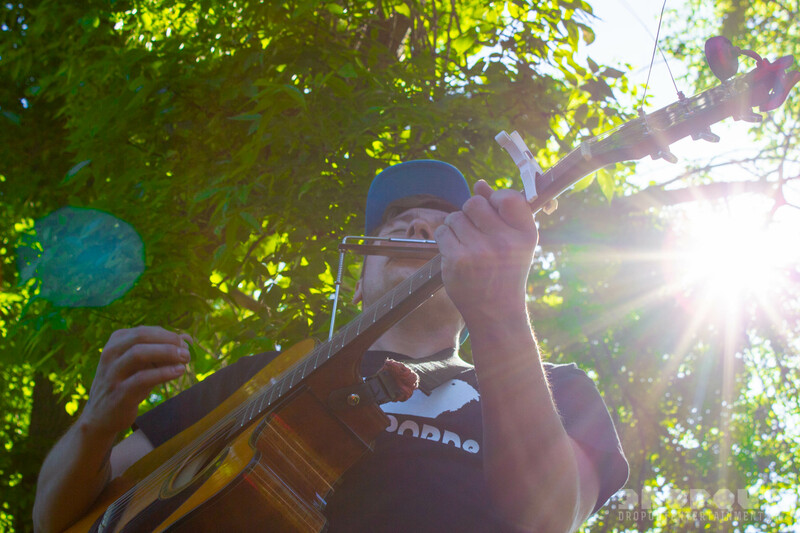 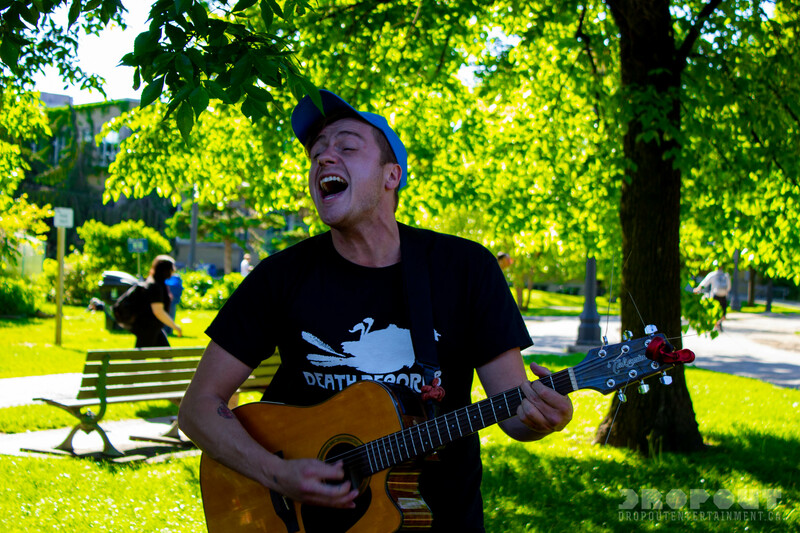 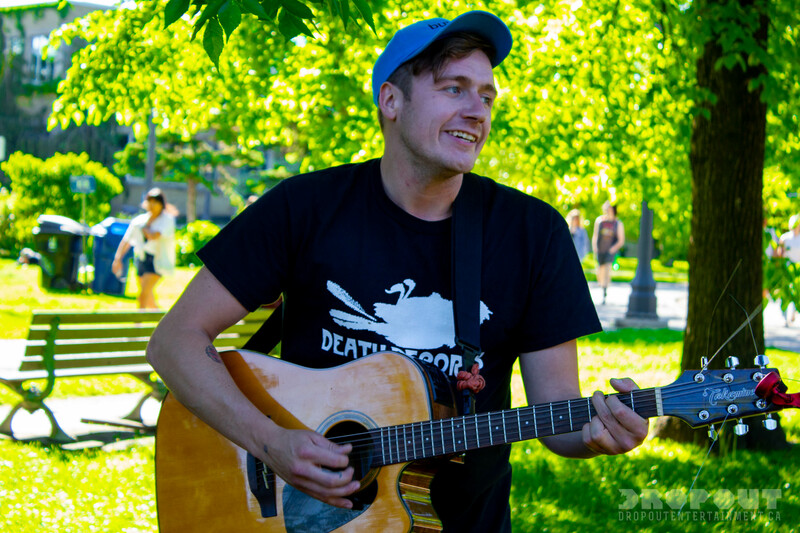 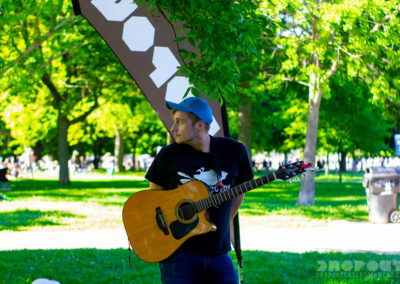 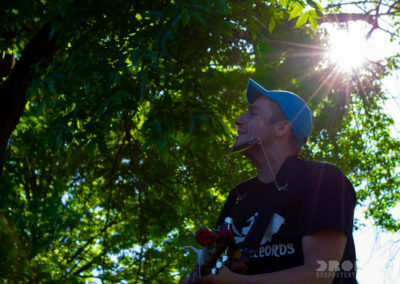 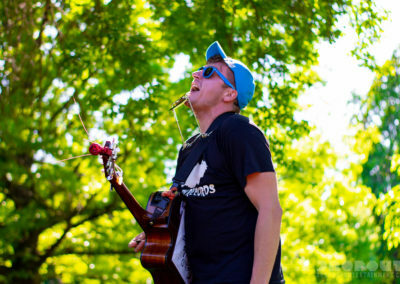 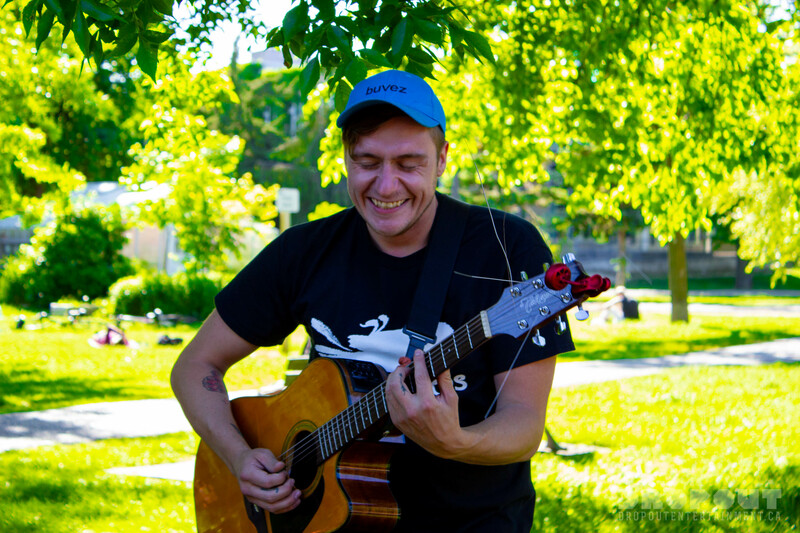 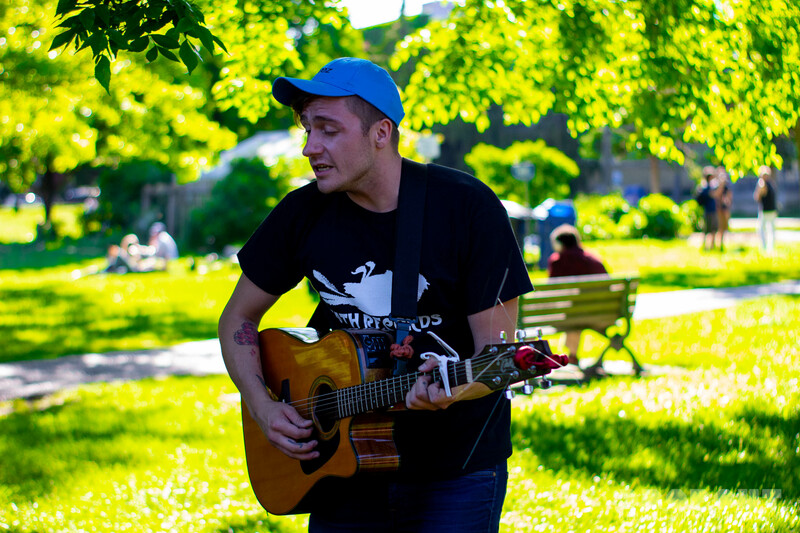 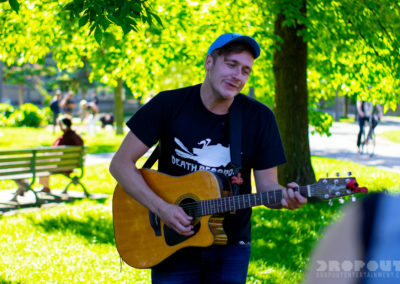 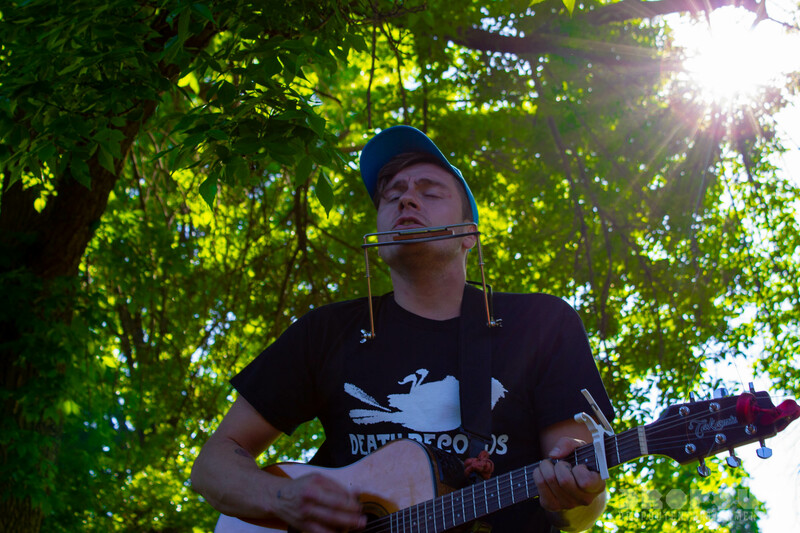 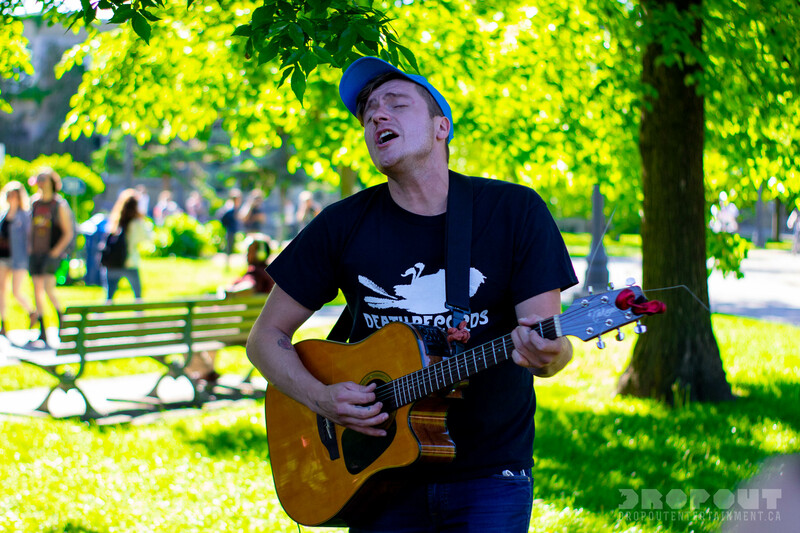 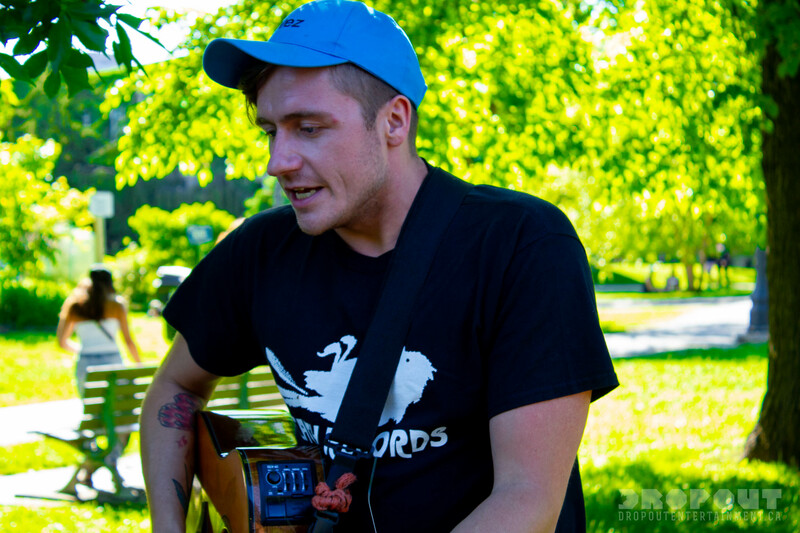 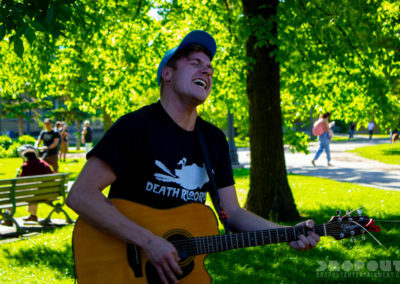 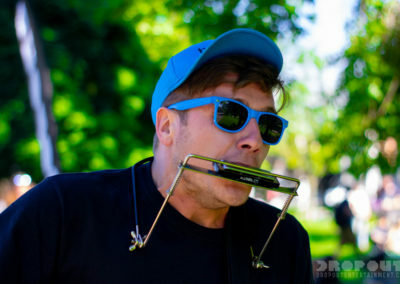 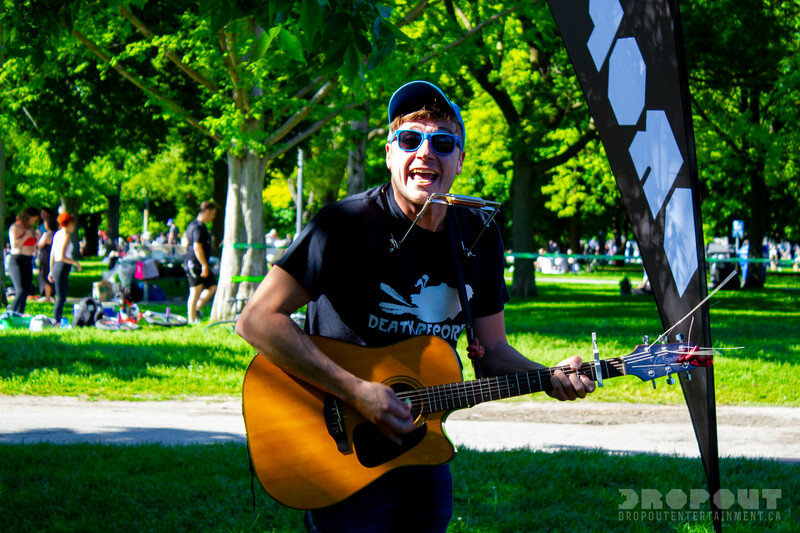 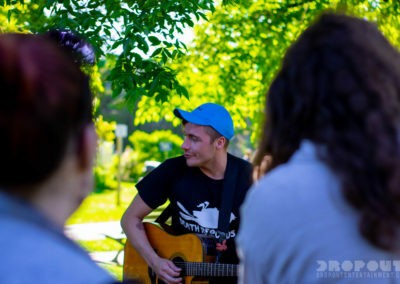 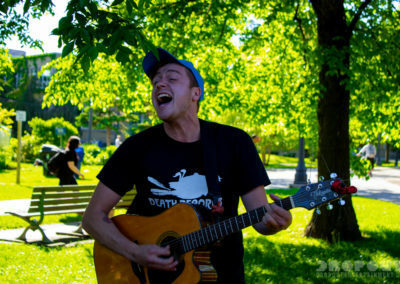 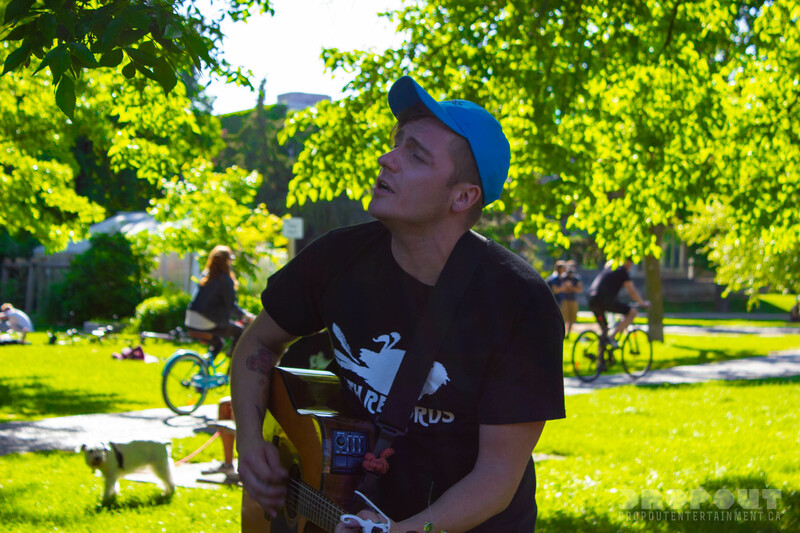 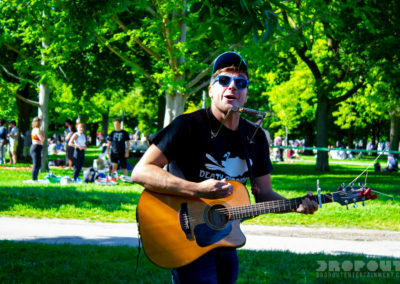 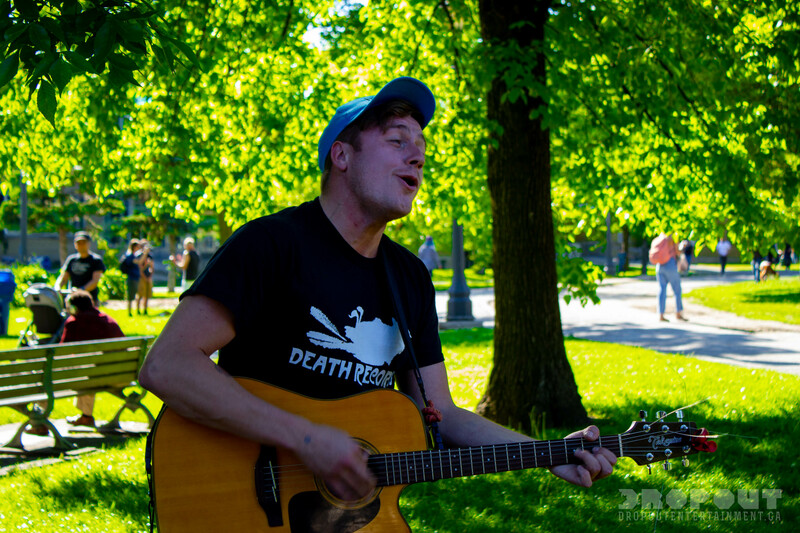 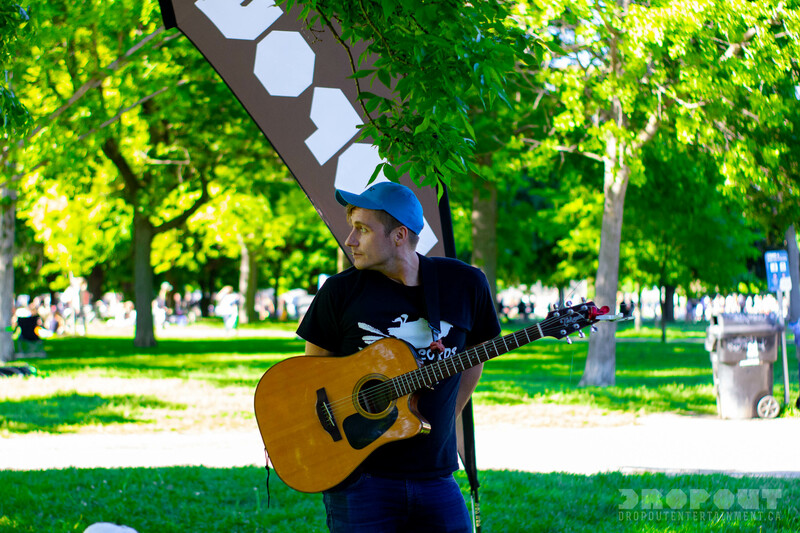 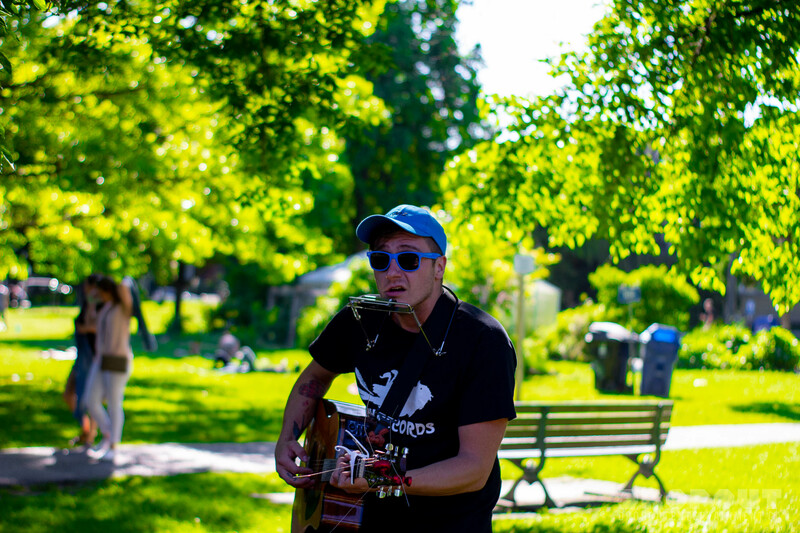 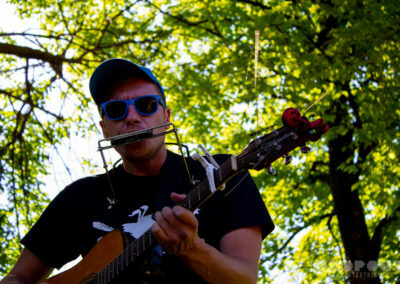 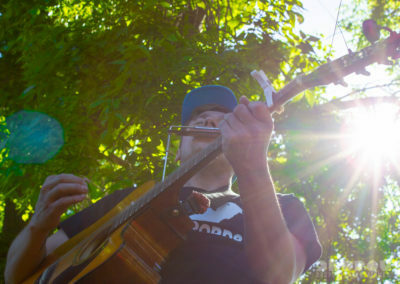 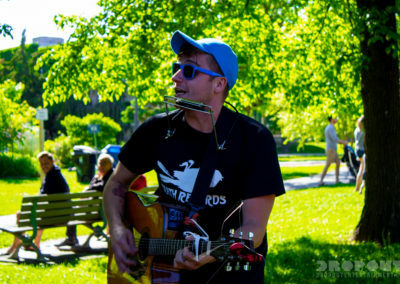 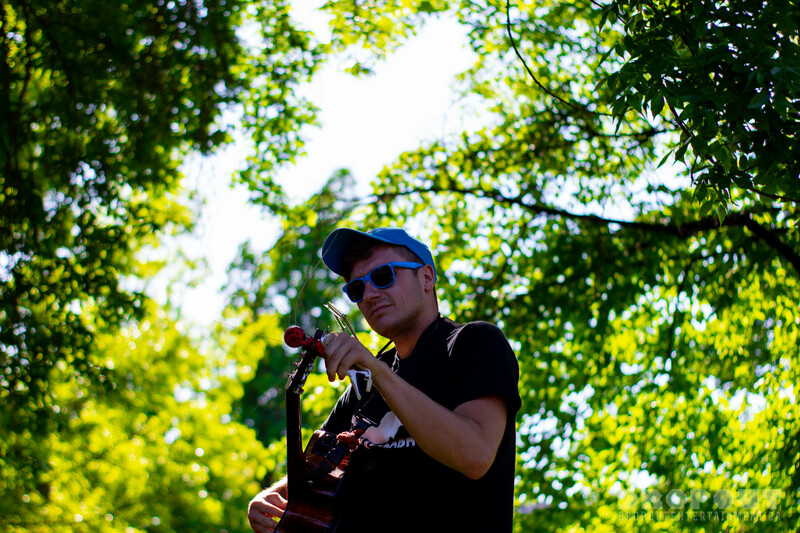 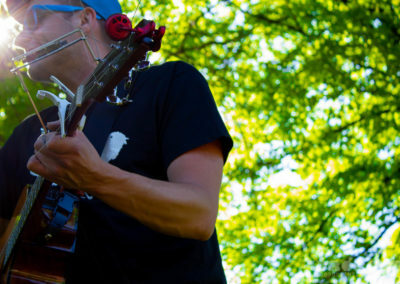 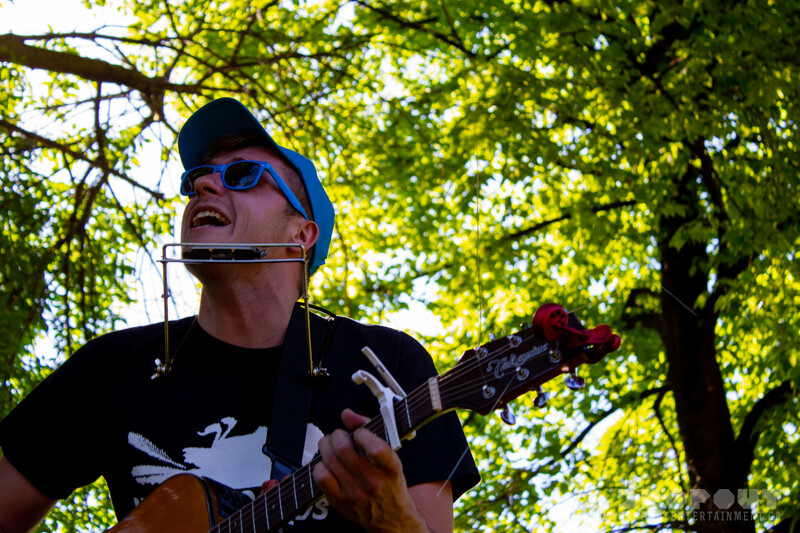 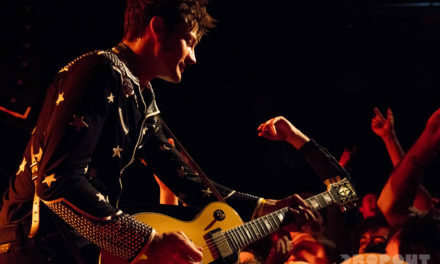 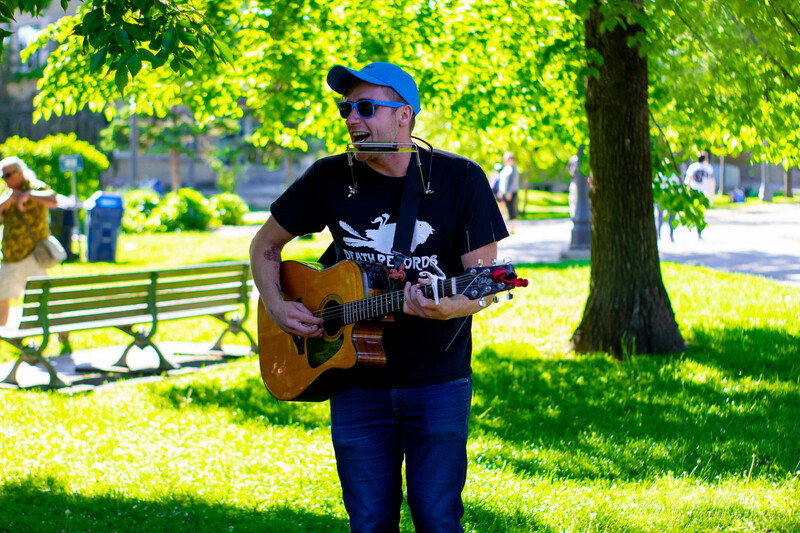 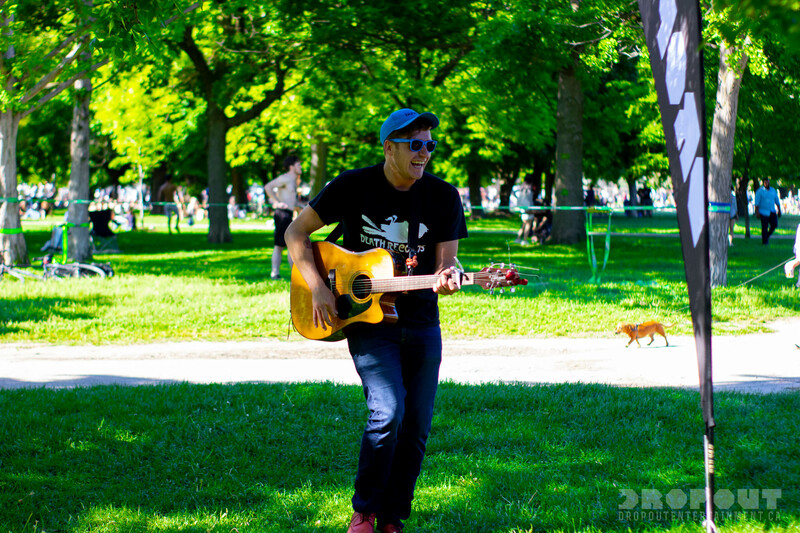 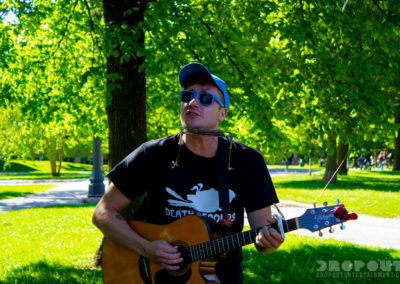 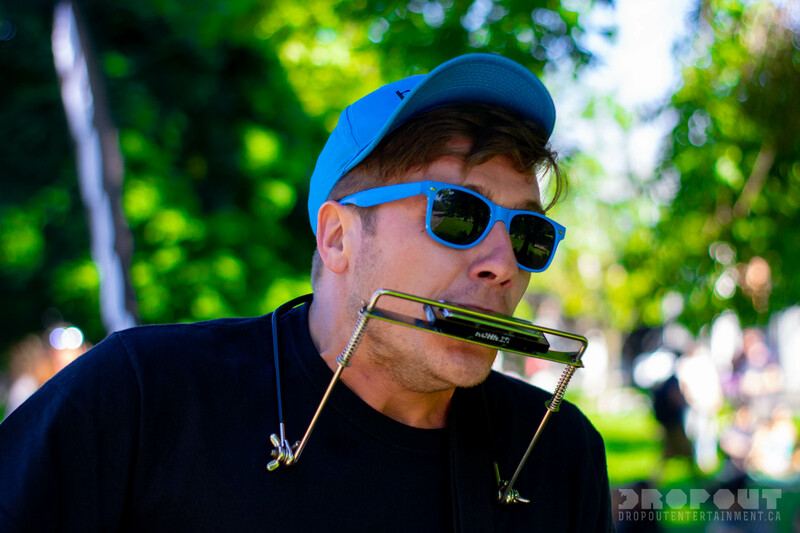 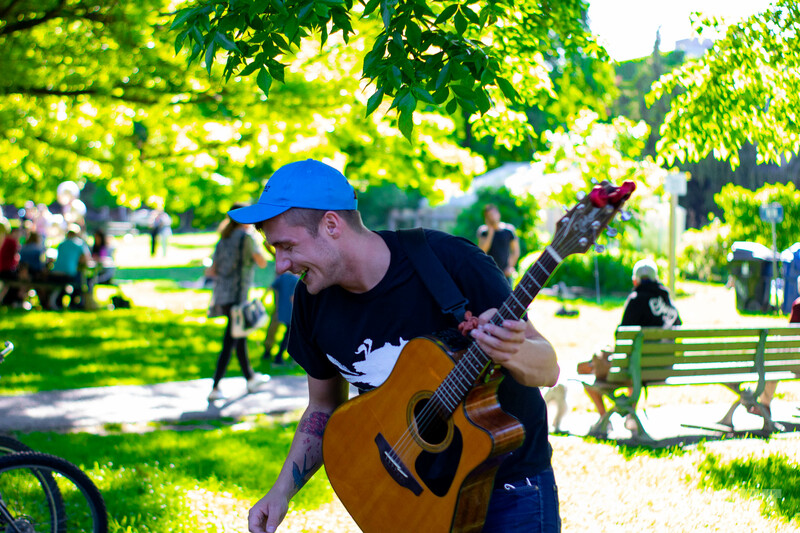 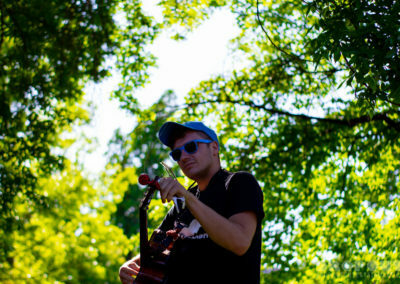 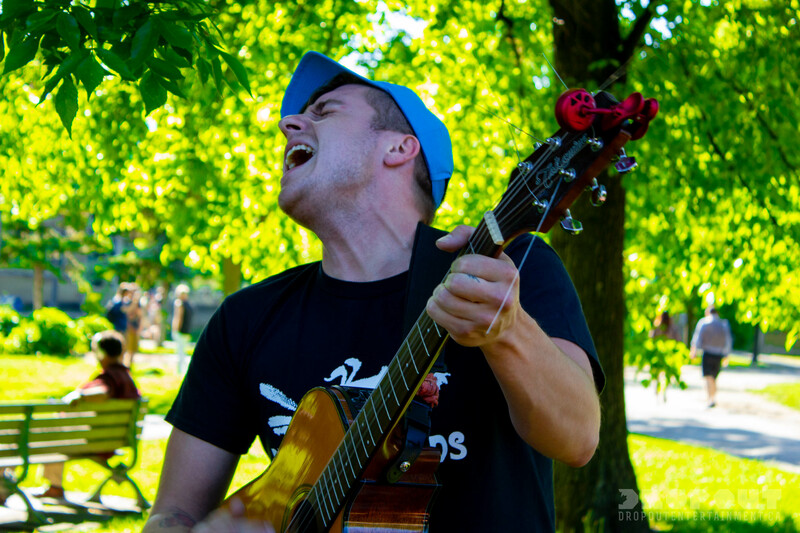 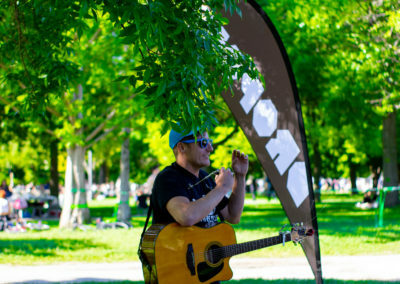 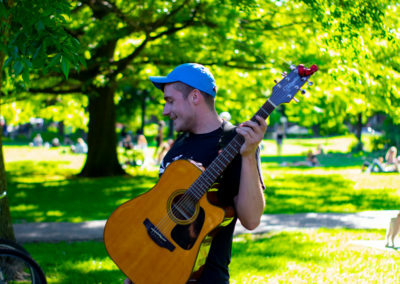 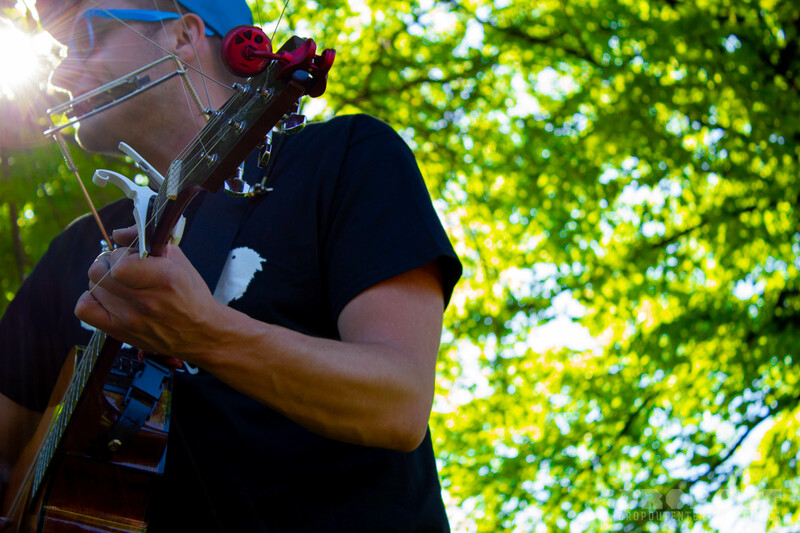 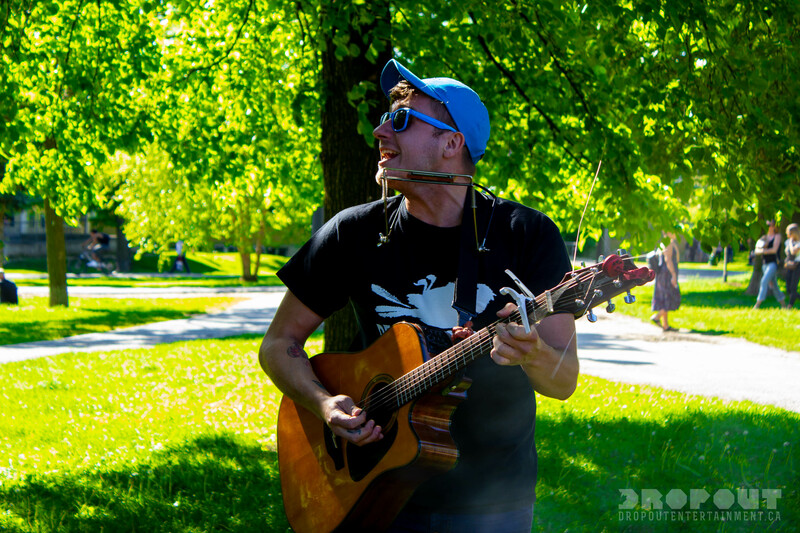 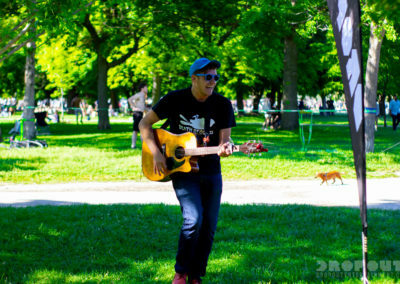 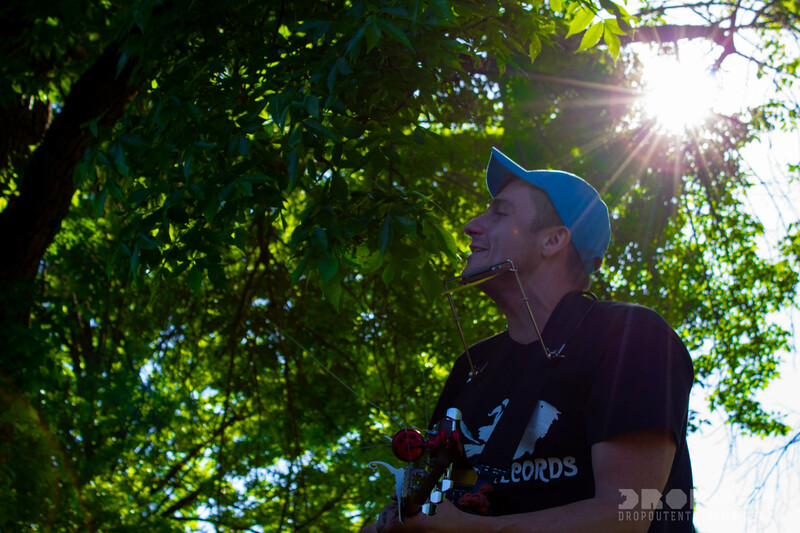 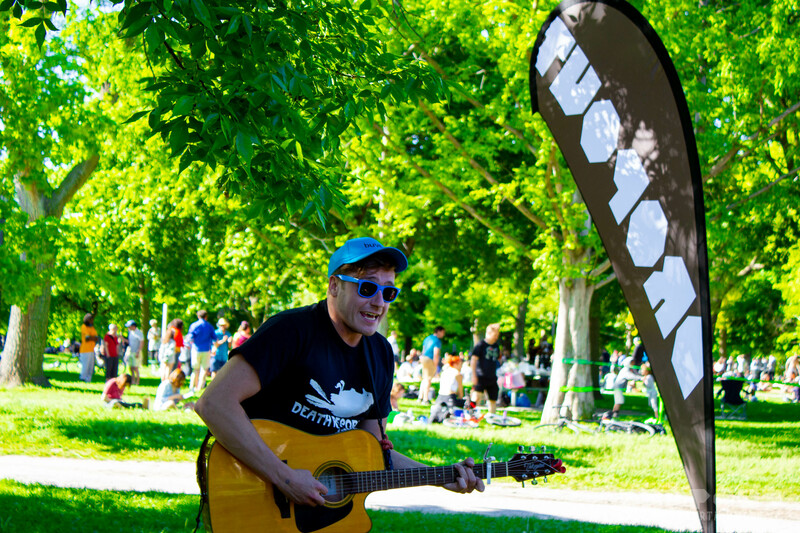 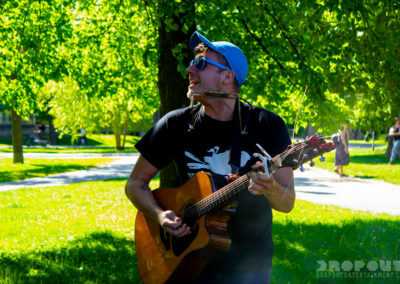 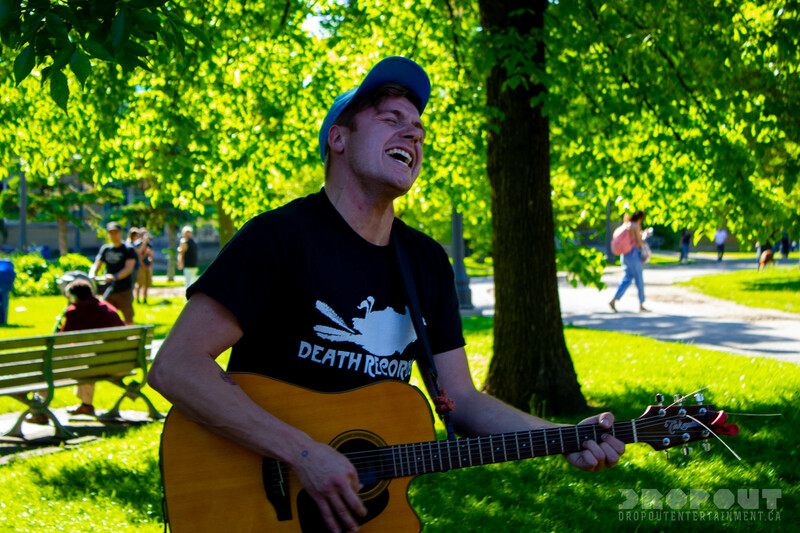 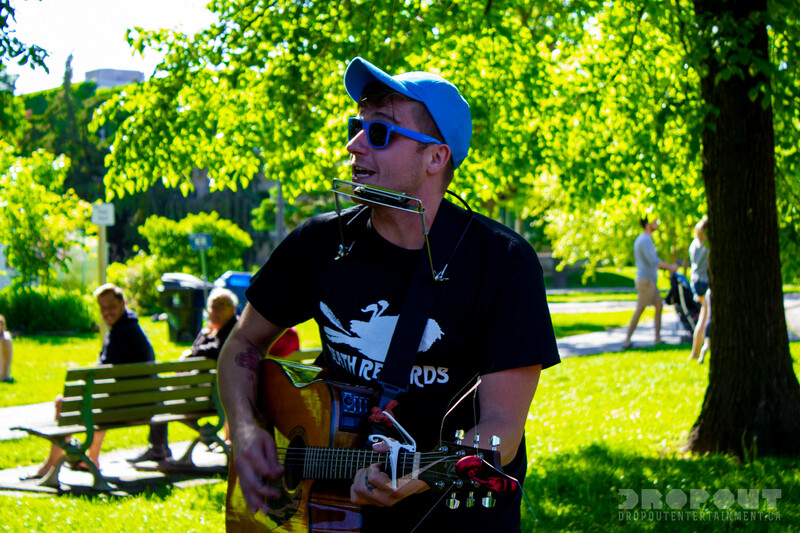 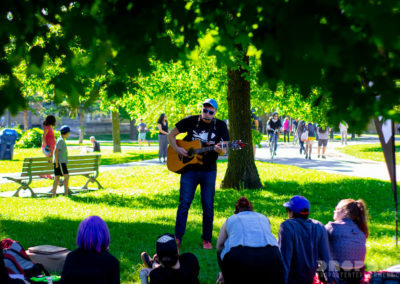 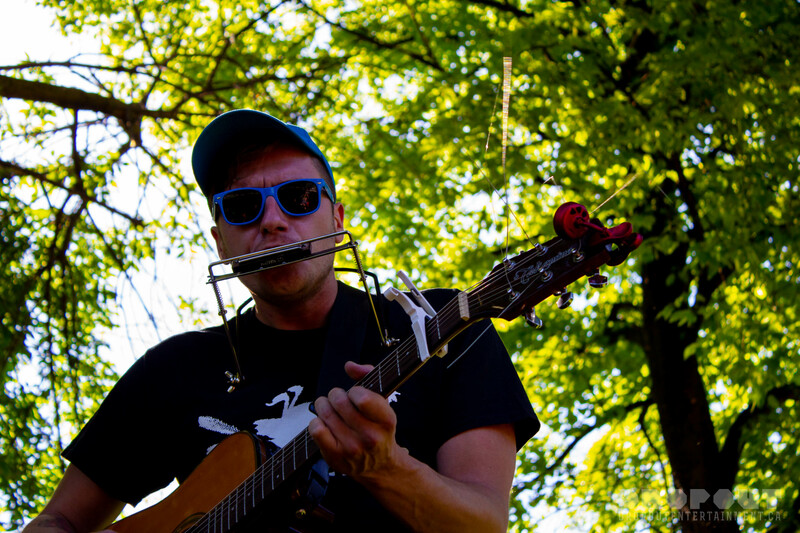 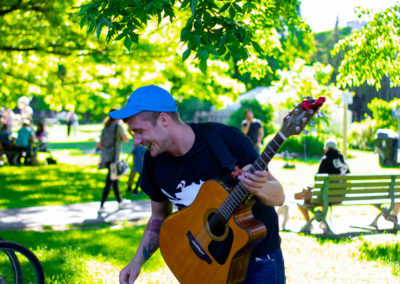 Winnipeg folk singer/songwriter Skylar Bouchard gave Torontonians a taste of his witty lyrics and salient and smooth singing style last summer during Dropout In The Park’s third installment. 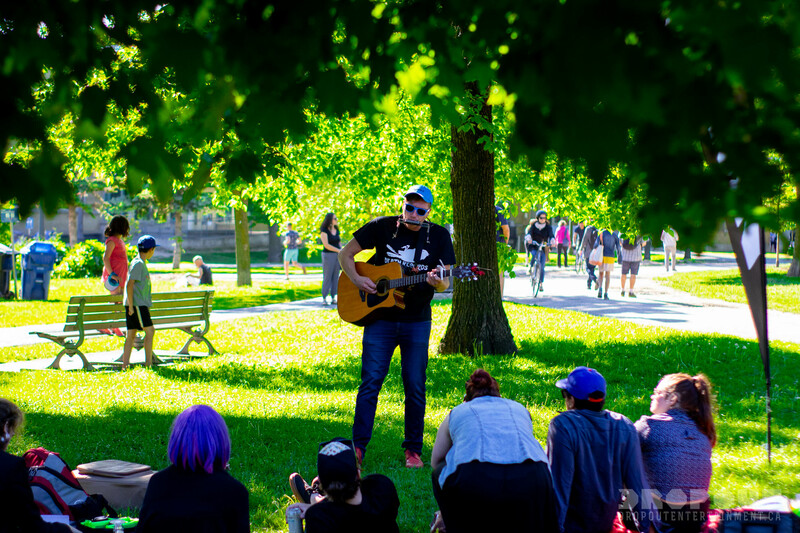 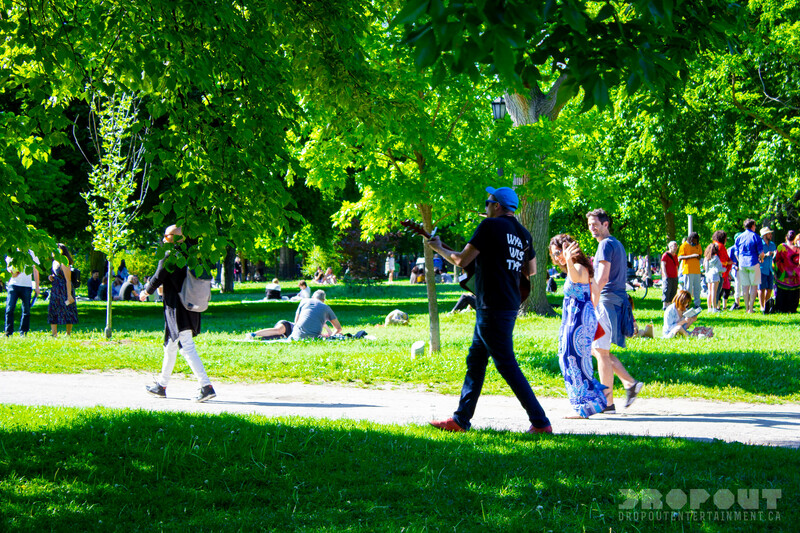 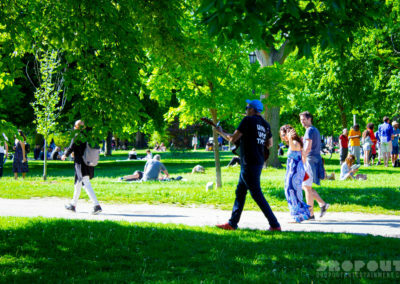 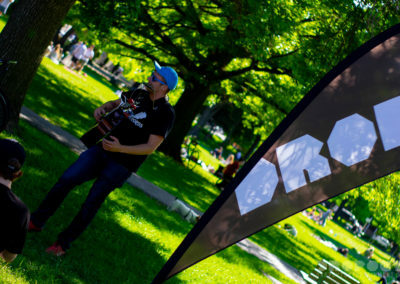 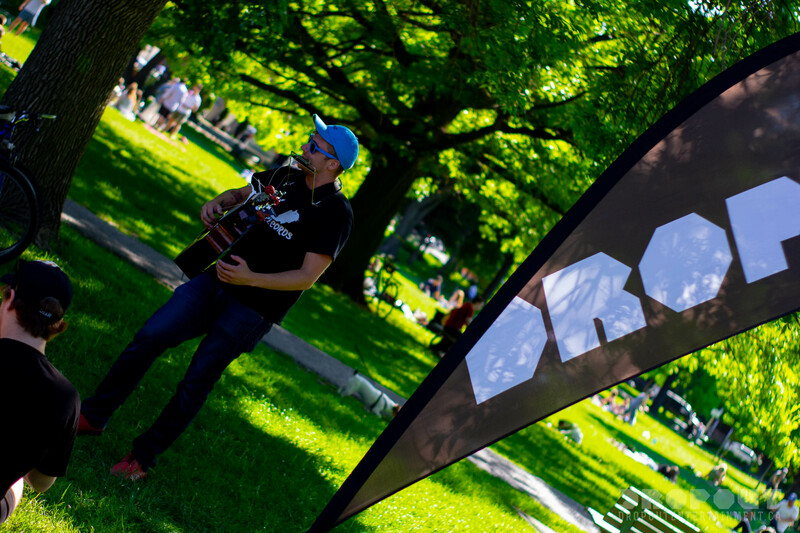 Set in the cities Trinity Bellwoods Park, Bouchard joined local acts Giraffe, Binge Ninja and Prairials in giving fans and walker by’s a concert in the sun. 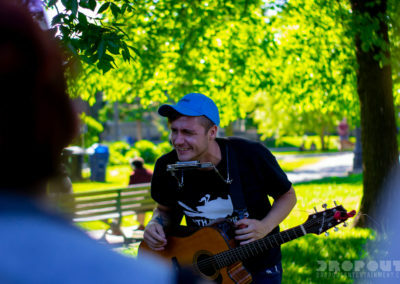 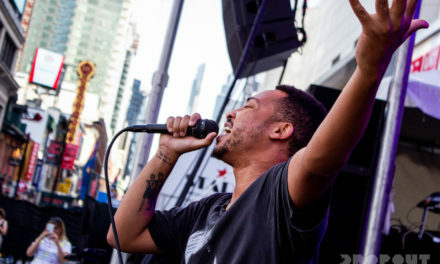 Skylars knack for storytelling both within his songs and in between had the audience dead silent at some points, waiting to hear the next part of his introspective tale and all laughing together the next moment at one of his songs lines. 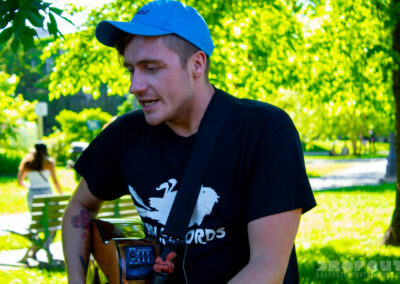 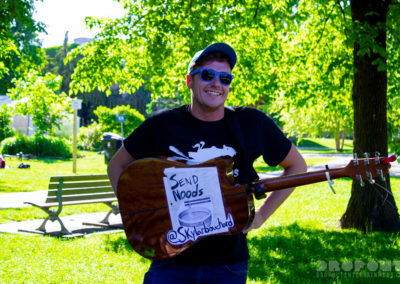 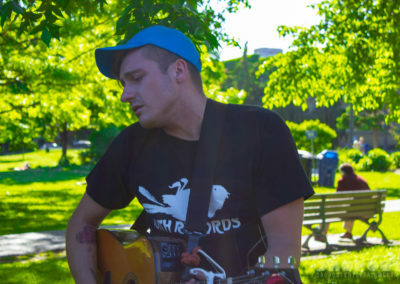 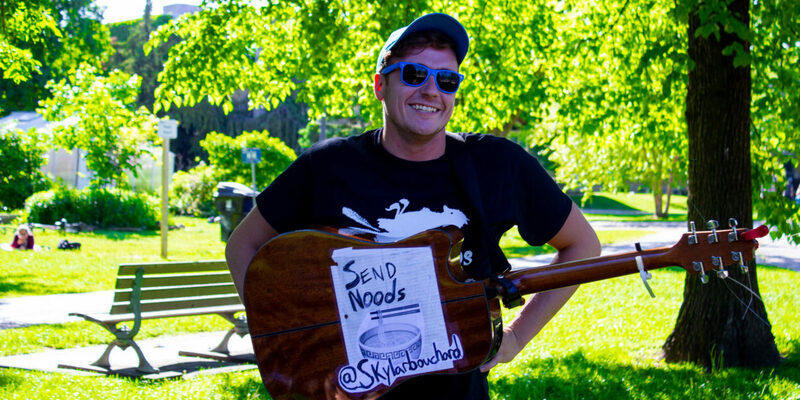 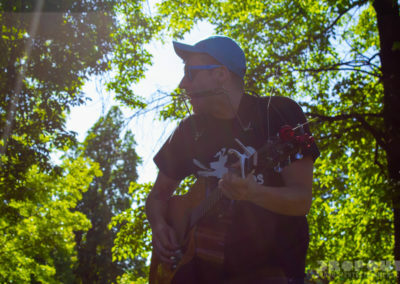 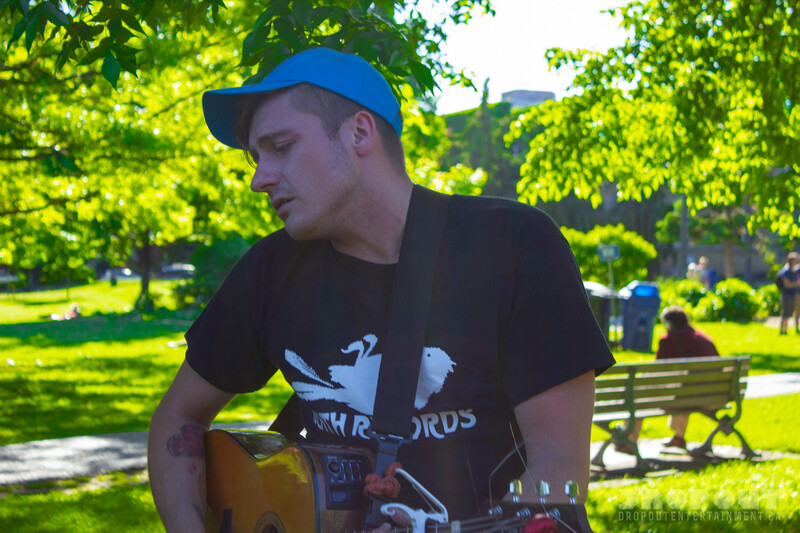 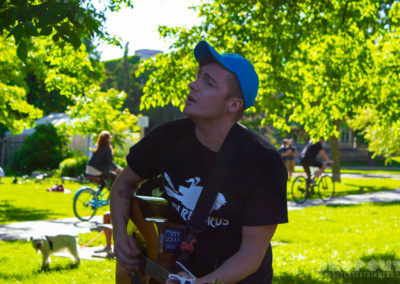 You can find Skylar’s music at https://www.skylarbouchard.com/ Go give his newest album “Tired of The City” a listen, we were lucky to have him share his music in the park with us and can’t wait to see what he comes out with next!